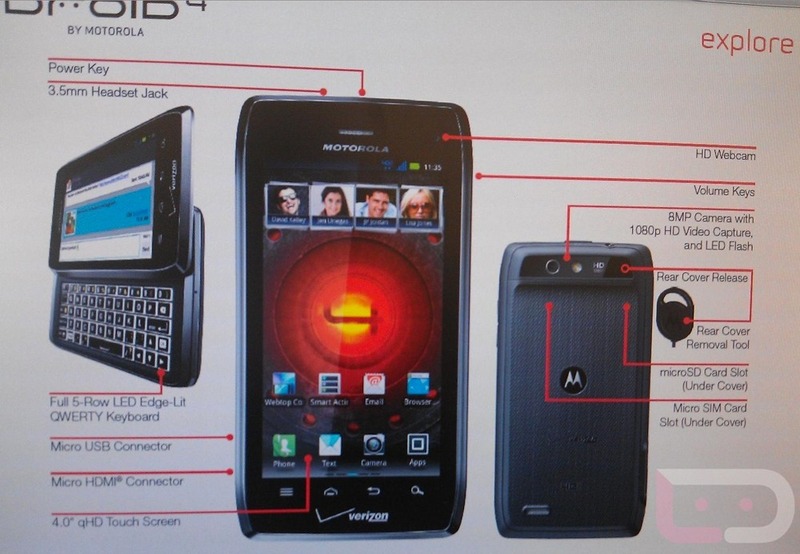 On what could possibly qualify as the most boring day of the year as far as Android news is concerned, a gem has finally surfaced: the seemingly official specs of the illusive Droid 4. We first caught a glimpse of the D4 last month, along with some suggested specs. If this leaked internal Verizon document obtained by Droid Life is to be believed, then most of the specs have now been realized. There is something to be said about this device, and I'll go ahead and put it out there: this is what the Droid 3 should have been. Anyone considering this when it comes out?